Sherman Builders: Just How Many Tank Factories Did the US Have Anyway? There were 10 and 1 in Canada. Most of the information in this section will be a summation of the section of Son of a Sherman. Other stuff I had to dig around on the internet for. Anyone who has more info on the tank makers, please feel free to contact me. Parts from all these tank makers would interchange. Many used the same subcontractors. I don’t think anyone has tried or if it’s even possible to track down all the sub-contractors who contributed parts to the Sherman at this point. Some of the manufacturers were more successful than others, some only producing a fraction of the total Sherman production, others producing large percentages. 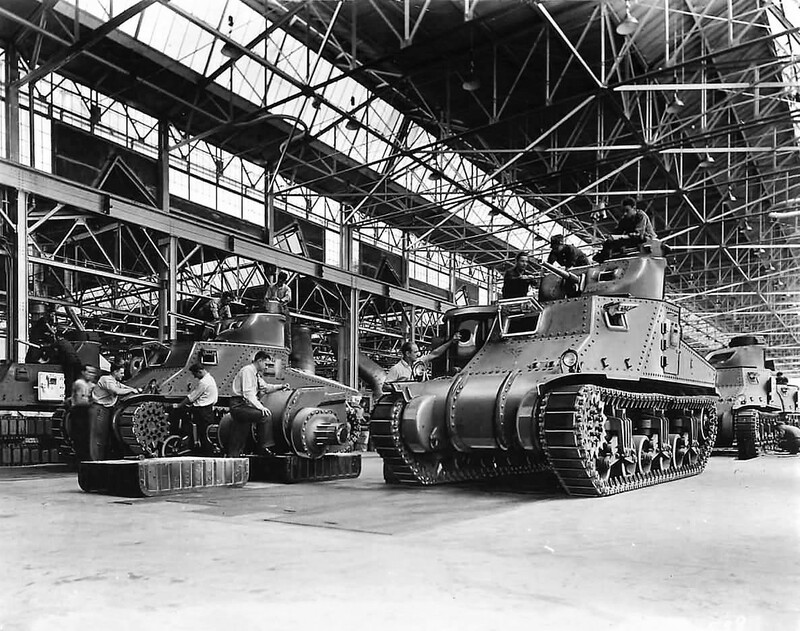 By the end of production, all the US and her allies needs for Shermans were being handled by just three of these factories. ALCO also produced M3 and M3A1 Lees and made Shermans up to 1943. They were a fairly successful pre-war locomotive manufacturer founded in 1901 in Schenectady, New York. They also owned Montreal Locomotive Works. ALCO made several version of the Sherman, and stayed in the tank game until the late 50s, helping with M47 and M48 production. The company went under in 1969. American Locomotive produced 2300 Shermans in two models, the M4 (75) and M4A2 (75). Baldwin was another early producer, building three versions of the Lee, The M3A2, M3A3, and M3A5. They mostly built small hatch M4s all DV tanks, even the ones made in 1944! They made just a handful of M4A2 75 tanks(12). They were out of the Sherman game by 1944 and out of business by 72. They were founded in Philly in 1825 and produced 70,000 steam locomotives before they died. Chrysler Defense Arsenal was special. It was a purpose-built tank factory, funded and owned by the US Government, and managed and built by Chrysler, the first of its type and a wild success. William Knudsen, who before taking a job helping get war production going, had been the head of General Motors, called up the president of Chrysler, K.T. Keller, and asked him if he could build tanks for the Army. They came up with the idea of the Tank Arsenal and the Army agreed to fund building it, and pay for all the tooling needed, at a cost of 21 million 1940 dollars, roughly 356 million in today’s money. All the Contracts were signed by 15 August 1940. 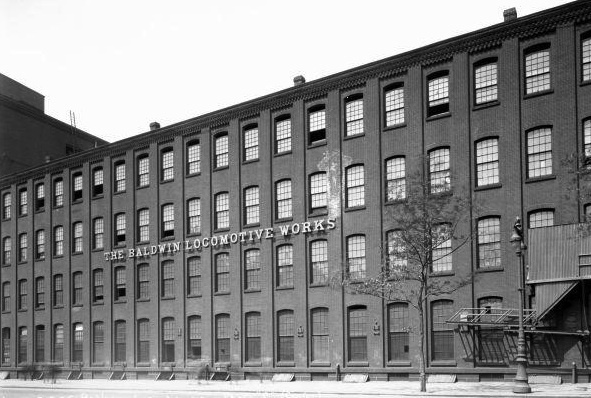 Keller hired a famous architect, who had worked extensively with the auto industry, named Albert Kahn, to design the factory. Chrysler chose Warren Township, just north of Detroit, because the land was abundant and cheap. They bought up 113 acres of farmland, and there were cows around the factory as it was constructed. Construction started as soon as they had final plans for the layout of the Arsenal site, so the ground prep could start. The buildings would have to house 1000 machine tools and over 8000 specialized jigs. When finished, the factory building was five city blocks long, and two wide and would employ nearly 5500 people! They made making Sherman tanks so efficient, they were able to give the US Government 50 Million dollars, 1940s dollars in refunds and price reductions. Construction on the factory started in September of 1940, and construction continued right through the Michigan winter, even when the site turned into a swamp of mud, until it got cold enough to snow and freeze, and even then work went on. 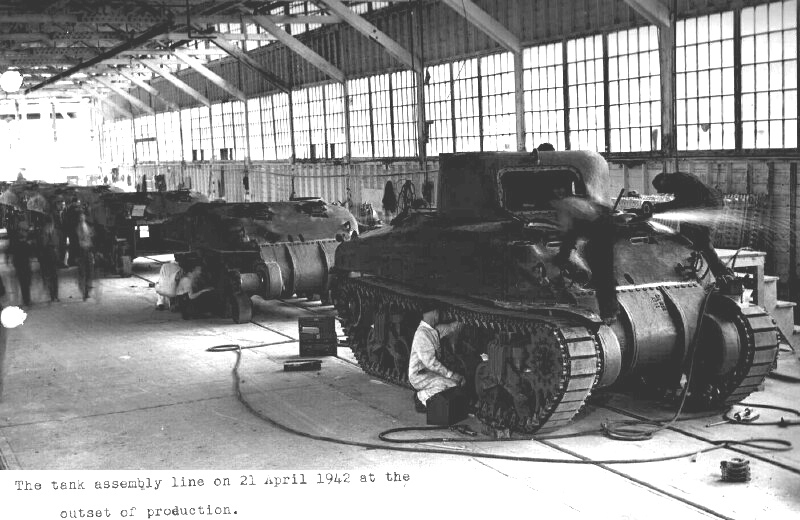 The factory went to work, even and it was being built, and a cadre if under 400 built the first tanks, these M3 Lee tanks were rolling of the line by April of 1941. This was before the factory was even finished being built. It was built to stand up to aerial bombing, because when it was built, the Nazis had everyone on their heels, and no one had any idea how far they would get. They produced M4A4, and M4 tanks as well and M4 105s, M4A3(105)s, and M4A3 76 tank and nearly 18,000 of them. Chrysler was the sole producer of M4A3E8 76 w Shermans, or the tank commonly known and the Easy 8. They produced 2617 units, but post-war many A3 76 tanks were converted over to HVSS suspension. 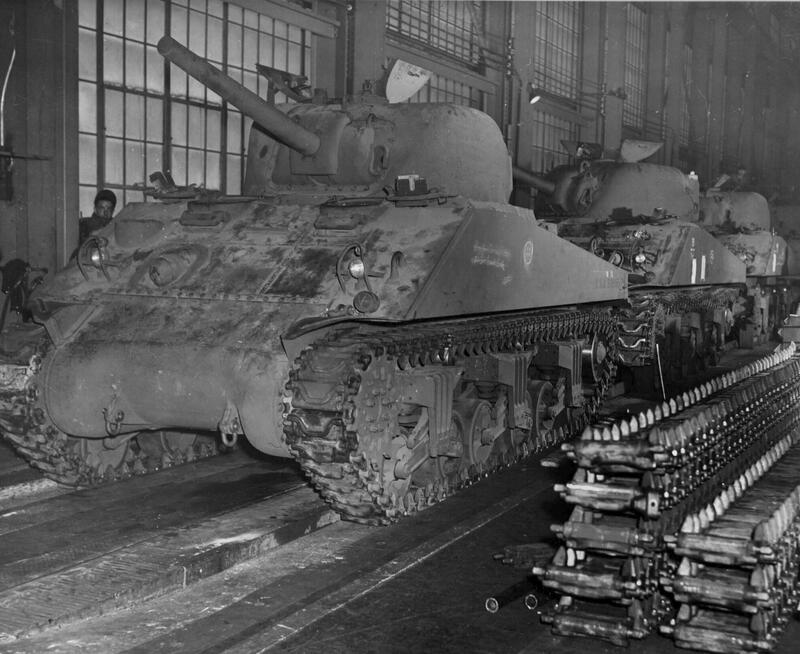 A very big chunk of the overall Sherman production came from this factory and it went on to produce M26 Pershing tanks. 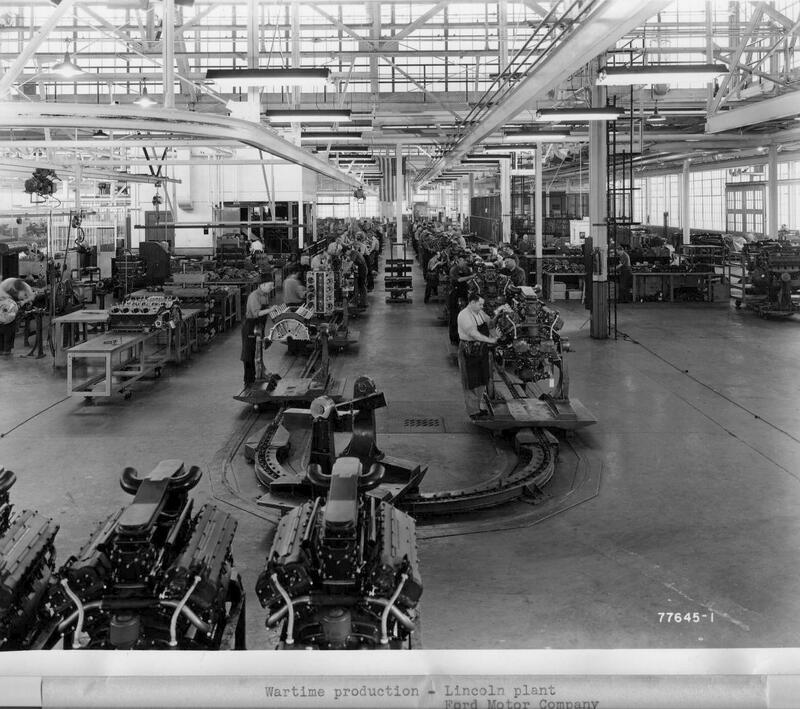 Chrysler used its many other facilities in the Detroit area as sub manufacturers, and many of their sub-contractors got involved too. CDA not only produced the tanks, it had the capacity to pump out huge numbers of spare parts. Chrysler sub-contracted out the suspension component to their Dodge Division. De Soto produced parts for the Shermans gun recoil mechanism. Another subcontractor was Ford since they produced the GAA engines that went into the M4A3 tanks CDA produced. CDA lived into the 1990s before Chrysler defense systems got sold off to General Dynamics. It took part in making the M26, M46, M47, M48, M60 and M1 tanks.CDA and Chrysler were not just involved in producing tanks, but in making experimental tanks and motors. Chrysler came up with their own water-cooled V12 called the A-65 that was very promising, producing 650 horsepower while only being slightly larger than the A57 setup. CDA produced 17,947 Sherman tanks, in six variants, The M4A4 (75), M4 Composite, M4A6, M4A3 (76) w, M4A3 (105), and the M4 (105). This was the first defense arsenal completed in the United States, and the one built by GM’s Fisher would be modeled on CDA. It was a popular stop for war bond sales tours, celebrities, and politicians, particularly early on when they seemed to be able to come up with production miracles, keeping up with ever-increasing orders! Chrysler got so good at producing Shermans and lowering per unit costs, they wrote checks back to the government for millions of dollars since they were coming in cheaper than projected. That is unheard of in today’s defense production! I couldn’t find much out about FMW, Son of a Sherman says they were founded in Warren Ohio in 1917. They produced less than a thousand M4A2 small hatch tanks. They were slow to produce them, making about 50 a month. They were not contracted to make any more Shermans after their first 540 total, 1942 contract. They did build some M7 and M32 tank retrievers. They were out of business by the mid-fifties. FMW produced 540 Sherman tanks, all M4A2 (75) models. Not all U.S. factories were miracle stories like Chrysler, and this one is clearly a company that didn’t do all that well. One contract slowly filled got them dropped, and probably would have even if production had not been cut back for other reasons. Another would be the factory built for the M7 medium tank, by International Harvester, which produced 7 tanks before being closed down. Not because of a problem with the factory, in this case, it was the tank no one wanted. Fisher Tanks Arsenal (FTA) has a lot of common with Chrysler Defense Arsenal, except this time Uncle Sam went to Fisher Body, a division of General Motors. Fisher decided to build the tank plant in Grand Blanc, south of Flint Michigan. The factory broke ground in November of 1941 and the first M4A2 Sherman rolled off the line in January of 1942 before the factory was fully built. Unlike Chrysler, they didn’t have to start from scratch and could use CDA as an example of what to do. They also produced nearly 1600 large hatch, 76mm gun tanks, or the M4A2 (76)w. These tanks went almost exclusively to Russia as part of Lend Lease. These tanks were ordered over four different contracts and the final ones off the production line were all HVSS tanks. The HVSS suspension may have seen combat with the Russians before the US Army used it. Oddly, this factory also produced M4A3 76w tanks, but never with the HVSS suspension. Fisher produced a significant number M4A3 and Large hatch 75mm tanks at their factory, but nowhere near their M4A2 production. Fisher was a division of General Motors and leading up to WWII, GM was a huge company, producing other Sherman parts in other divisions as well. Buick produced the M1 series of 76mm guns for all the vehicles that used them. They also produced transmissions and final drives use on the Sherman and M10 GMC, and 3-inch shells for the M7 Gun. They also made He and AP shells for the M3 75mm gun. They made more than 45 million shells of various types during the war! Harrison Radiators were used in Shermans. Oldsmobile also produced canons, the 75mm M3, and also the 76mm M1 series, and many others. They also produced ammunition for these guns as well. The AC Sparkplug Division produced Sherman instrument panels. The Delco-Remy division produced started and generators, and voltage regulators. Detroit Diesel division produced the motors for M4A2, and M10 tanks, and the diesel Lees. Inland Division had a lot to do with Sherman Tracks, producing several types of tracks and the pins that held them together. Moraine Products Division produced engine bearings for all GM 6046 powered Shermans and TDs. The New Departure Division produced ball bearings for the Sherman, used in the turret ring. The Packard Electric Division produced a lot of the actual electric wires used in the Sherman tanks. Pontiac Motor Division produced the connecting rods, cylinder liners and flywheel housings used in the GM 6046 twin diesel. The Saginaw Malleable Iron Division produced the T49 trackpads from steel castings. They also improved production speed on the M2 .50 Machine gun, and the M1919, by casting in steel parts that had been forged in the past requiring more time to produce. Saginaw Steering Gear Division produced a lot of M1919A4 machine guns, some surely made it into Shermans. United Motors Service Division ran the Lima Tank Depot in Lima Ohio. This depot was used to prep all the tanks shipped to the ETO and MTO. Shermans from all the makers would pass through this depot. These depots, there was a west coast one in Richmond California, run by Ford. These Depots were not just storage yards, they prepped the tank for use overseas, making sure it was fully operational, and up to date. This would mean installing M34A1 gun mounts and all the quick fix modifications, which added armor around the sponson racks, and removal of the ready rounds around the base of the turret etc. They then boxed up everything that couldn’t fit inside, sealed the tank up and put it on a train. GM was a production powerhouse, for more info check out this really interesting website. The American Auto Industry in WWII. I cannot say how much I like this site, but it is tremendous, you could spend hours reading subpages here, and he has a lot of very nice, photos he took himself along with a large number of Company War books. The US Auto Industry has a lot to be proud of for what they accomplished during the war. 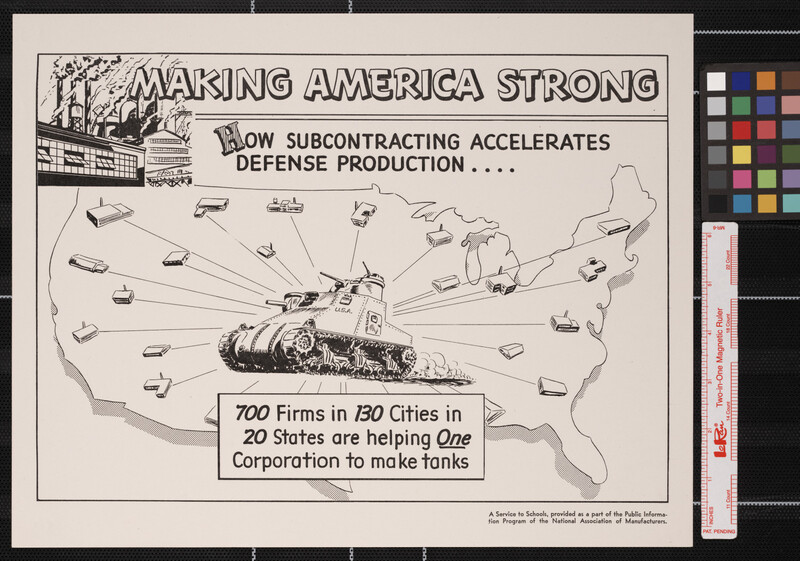 FTA Produced 11,358 Sherman tanks in six versions, The M4A2 (75), M4A2 (75), M4A3 (75)W, M4A2 (76)W, M4A3 (76)W, and the M4A3E2. Note: All M4A3 tanks produced by Fisher had Ford built GAA motors. Ford was a surprisingly small player in the Sherman tale. They are very important in that they developed the Ford GAA V8 covered earlier, and a lot of spare parts. But they only produced 1690 small hatch Shermans between June of 42 and Oct 43. They built 1038 M10A1s as well. All these tanks and tank destroyers were produced at their Highland Park facility. After 1943, they stopped building tanks, and wouldn’t get back into until the 50s, and even then it was just for a large production run over a short time, of M48s. Don’t get the idea Ford didn’t contribute to the war effort, they built their own modern production miracle in the B-24 bomber plant. They did produce almost 30 thousand Ford GAA motor, that would be used by CDA and FTA when they built M4A3 tanks. The only west coast tank maker, PCF produced 926 M4A1s from May of 1942 to November of 1943. The foundry had the facilities to produce all the big castings, the M4A1 Sherman used, in-house. As soon as production stopped they started production on the M26 tractor, the truck portion of the M26 tank transporter, also known as the Dragon Wagon. They never got back into tank production again, but they did produce one very special tank destroyer. The almost mythical T28 super heavy tank and the army managed to lose one. They were out of business by 56, with no tank production after those final 30 M4A1 76 HVSS tanks. 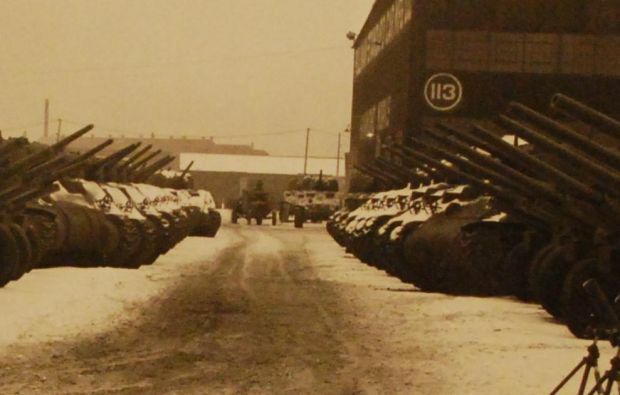 PST produced a total of 8147 Shermans tanks in four types, M4 (75), M4A1 (75), M4A1 (76)W, and the M4A2 (76)W.
PSCC produced a total of 3426 Sherman tanks, in two types, the M4 (75), and the M4A2(75). The thing to remember about all the Sherman makers is each one had a small imprint on the tanks they produced. So an M4A1 small hatch tank was the same no matter who made it and all parts would interchange with no modification needed, but the tanks from different makers still had small, cosmetic differences. They may have been something like nonstandard hinges on the rear engine doors to the use of built-up antenna mounts instead of cast. Or wide drivers hoods or narrow, to where the lift rings on the hull were and how they were made or even Chryslers unique drive sprocket they put on all their post A4 tanks. None of this meant the parts couldn’t be salvaged and used on another Sherman from another factory without much trouble. Some factories may have produced tanks faster than others, but they all produced them within the specification of the contract or they were not accepted. The ability to interchange parts between factories was a pretty big deal, and it wasn’t just the tank factories that did it. All US manufacturing that had war contracts with the government had specifications to meet. These specifications were tight enough to require a well-designed system of mass production. This meant that not only were the tanks, aircraft, trucks, weapons, and ships, etc., built faster but were of higher quality as well. The US Aircraft industry is another beautiful example of this, producing 100,000 fighters, and with interchangeable parts, so a Boeing B-17 built at the Vega plant, could take and install any part made at the Boeing plant, or Douglas plant, or any of the many subcontractors. This was not even peak production, and in many cases production was held back, not by factory capacities, but by who the War Production Board decided got raw materials. This is something The Nazi regime could only dream of, their industry was still simple production lines using skilled and unskilled labor with very little to no automation. This did help them hide it from bombers; since it could be moved around more readily, but that’s just about the only plus side to the way Nazi Germany did things. When you add in slave labor, well, you get a picture that doesn’t seem to match the stories about the wonderful German tanks and their ace tankers saving Europe from the commie. It’s probably because that story was mostly Nazi propaganda anyway.